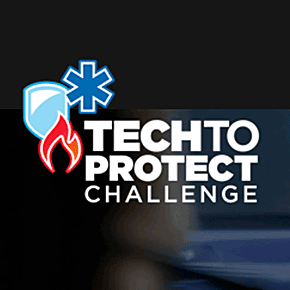 The Tech to Protect Challenge, implemented by the RedFlash Group and SecondMuse under contract with the National Institute of Standards and Technology’s (NIST) Public Safety Communications Research (PSCR) Division, is a national open innovation contest designed to help emergency responders—including EMS, firefighters and police—accomplish their mission to serve and protect our communities nationwide. Join entrepreneurs, inventors, and innovators with diverse backgrounds who share a common interest in creating technology that can improve the safety of their communities. Regardless of your area or level of expertise, we invite you to use your talents and join researchers, scientists, and emergency responders in advancing technologies and applications for public safety.